People without experience with HGH, who want to try it to improve the body, are often interested how to choose HGH dosage properly. 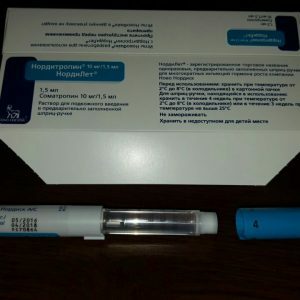 In this article, you will find what factors influence the dosage of HGH and how to adjust it according to your needs. 12 Do I need to divide my daily HGH dosage? 13 How dosage of growth hormone changes in combinations with AAS and insulin? Body weight and the body fat percentage. Cycle duration and protocol of using. Although HGH has same effects in any dosage, their intensity significantly depends on the amount of HGH you take. 4-8 IUs – dosage of HGH, which is sufficient to help you achieve significant fat loss effect and build some lean muscle mass. 8-15 IUs – is great to get nice muscle gains and obtain a ripped and vascular body. These numbers are approximate and, of course, you results will depend on your diet and training. Results you get depend on not only your experience with growth hormone but also your results in bodybuilding at all. If you run HGH for the first time and your body is relatively “natural” and weak, you need a lower dosage, about 4-6 IUs. And if you are an experienced guy (I am sure you know your HGH dosage), you need more, up to 10 IUs. Only professional athletes need a higher amount. The shorter your cycle is, the more HGH you need. The optimal duration of HGH cycle is 3-4 months, but you can cut it and run only for 1-2 months, for example on cutting. But in this case, you will need more growth hormone. Short cycles (1-2 months) will improve the state of your cartilage, heal joint traumas and improve the state of skin. Due to the improvements in the cartilage, you will experience a nice rise in strength. Also, short cycles are perfect for intensive cutting because HGH prevents muscle loss during dietary restriction (which is the main problem of cutting) and possess strong fat burning potency. Experiments with women showed that females who were taking HGH had 30% higher fat-burning rate than women who had only diet restriction . Long cycles with a relatively low dosage are better for bodybuilding than short cycles. Longer duration is great because you can burn fat without a diet and, at the same time, get efficient muscle gains. Also, long cycles help you achieve the more significant improvements in skin, nails, and hair, as well as heal old traumas. When choosing you cycle duration and HGH dosage, remember that a shorter cycle with the high dosage shows stronger side effects than a long one. However, long using of HGH increases risks of antibodies occurring. Antibodies significantly decrease the efficacy of growth hormone. There are three main protocols of growth hormone usage: every day (ED), every other day (EOD) and 3 times a week (3TW). Another option to consider is whether to divide daily dosage into several injections or take the whole injection once. ED protocol is the most common and is considered to be the best for bodybuilding because it allows to keep a smooth level of GH and IGF-1, which is great for fat loss and muscle growth. However, EOD protocol empirically showed to give better muscle gains. The reasons for this phenomenon are unclear. However, EOD is significantly worse for cutting that ED because the level of free fatty acids isn’t smooth and permanent. EOD protocol is good for people who don’t have enough money to take growth hormone every day. But if you don’t have financial problems, run ED protocol. EOD protocol is also great if you want to perform a long cycle, for six months or so, and want to avoid the risk of diabetes. 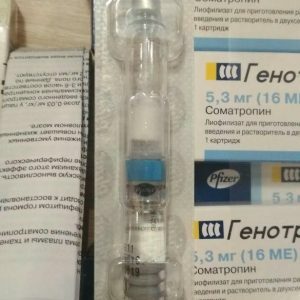 Do I need to divide my daily HGH dosage? Two injections during a day give you a smooth level of GH and IGF-1, so the effects of fat burning and muscle growth become stronger. HGH SIDE EFFECTS are milder in this case. How weight and BF influence HGH dosage? How dosage of growth hormone changes in combinations with AAS and insulin? 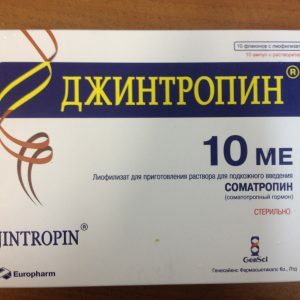 Although HGH is great when you use it alone, it also gives excellent results in combination with steroids and insulin. Also, if you use combinations of different drugs, you can take a smaller amount of each one and get the same result. The more performance-enhancing drug you take, the less amount of each you need to achieve results. In the combined cycle, the function of muscle building is performed by steroids or insulin, while growth hormone allows you to stay lean and burn fat. Blood sugar. Problems with the pancreas and possible diabetes are the main side effects of HGH. 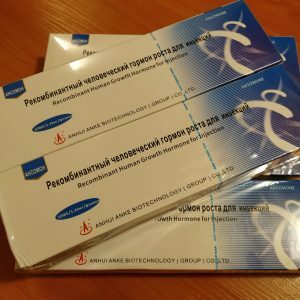 That is why before starting to use HGH, you must pass the blood test to find out the level of your blood sugar or take the glucose tolerance test. Also, don’t take growth hormone if your close relatives have diabetes. If your test shows 4-6 mmol/l, you can take HGH up to 10 IUs without Exogenous Insulin. If your level is higher, perform a deeper medical examination. High pressure. 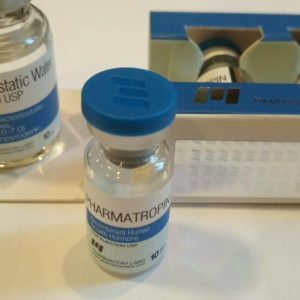 Growth hormone usually causes water retention and increases blood pressure, so if you have problems with blood pressure, you need to choose only pharmaceutical-grade growth hormone (Jintropin and Ansomone), which causes milder side effects and increases your HGH dosage gradually to avoid water retention. Cancer. You can read about it in the article about side effects in greater detail. In short, growth hormone can’t provoke cancer incidence, but it can accelerate the development of tumor if it already exists. So don’t use HGH or steroids if you have cancer or your close relatives experience problems with it. Last but not least. Growth hormone is an expensive drug, and often the amount of substance you can take is limited with money. That is why you should choose the best cost-to-quality growth hormone. 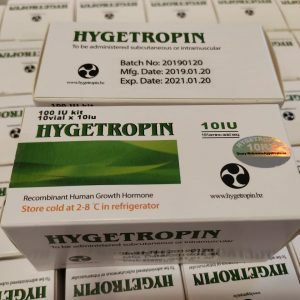 In our site, you can read articles about HGH BRANDS and fake, generic HGH and learn more about the problems connected with choosing growth hormone brand. 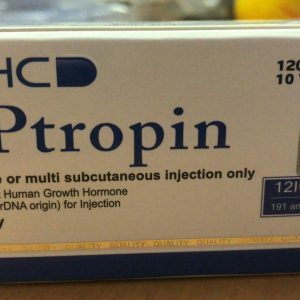 When buying HGH of unknown producers, such as Kigtropin, Blue tops, or Riptropin, you risk with your health and money because underground products are often underdosed or contain peptides instead of HGH. 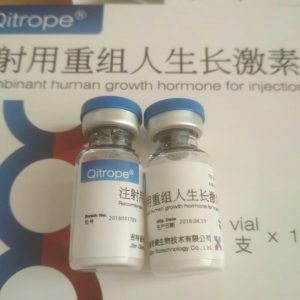 The best idea is to buy officially manufactured cheap HGH: Jintropin, Hygetropin, and Ansomone. Take HGH for longer periods of time in a low dosage. You can run 5 IUs for six months instead of 10 IU for three months. Thus, you will reduce the amount of money you pay each month. This cycle can even show better efficacy. 1) Kim KR, Nam SY, Song YD – Low-dose growth hormone treatment with diet restriction accelerates body fat loss, exerts anabolic effect and improves growth hormone secretory dysfunction in obese adults.